This 2 day program is also the Module 4 of Part 2 Advanced Dental Implant Continuum. This course is designed to provide the participant with detailed knowledge of all aspects of complete dentures for the fully edentulous patient to include conventional dentures, overdentures, and implant supported restorations. The technical experience and materials needed for the fabrication of various types of removable prostheses, will be discussed by Dr. Bolouri, Dr. Sarah Allen, and Dr. Amerian Sones, board certified prosthodontist and College of Dentistry Faculty. The presentation will include treatment planning, discussion of complex cases, complete denture design and the treatment options for implant support for the overdenture and fixed hybrid restorations. Digital denture fabrication will also be included to demonstrate how modern technology has improved the delivery of care to clinical techniques which have spanned the history of dentistry. Paring new age technology with one of dentistry's long time clinical treatment, that is complete dentures, demonstrates how modern technology impacts time tested clinical procedures. The clinical steps necessary for the successful application of treatment methods for the fully edentulous patient will also be shown. New treatment modalities involving implant-supported complete dentures will be presented, as viable options for fully edentulous patients who cannot accommodate implant-only restorations. These types of restorations are both versatile and adaptable and offer the patient improved quality of life. A thorough discussion of this implant supported option will occur. Dr. Ali Bolouri received a DMD from Tehran University, a DDS from Tennessee Medical Center, and a Certificate of Prosthodontics from the Emory University School of Dentistry. He is a professor in the Restorative Sciences Department at Baylor College of Dentistry and maintains a prosthodontic and implant practice in Dallas, Texas. Dr. Bolouri has authored articles in several leading dental journals and has lectured extensively throughout the country and internationally. He is a board certified Prosthodontist by the American Board of Prosthodontics. Dr. Sarah Parker Allen recieved her DDS and certificate of Prosthodontics from Texas A&M University Baylor College of Dentistry. She is a full time Clinical Assistant Professor and the Assistant Director of Clinical Removable at Texas A&M College of Dentistry. Dr. Allen is a member of the American Dental Education Association and the American College of Prosthodontics. She is a recipient of the Dallas County Dental Society service award. Disclosures: There are no conflict of interest disclosure for this program from Dr. Allen. Amerian D. Sones DMD, MS, Diplomate, American Board of Prosthodontics, recieved her DMD from Tufts, School of Dental Medicine and her MS in Oral Biology from UCLA, School of Dentistry where her research in osteoporosis and mandibular bone resorption revealed important information for the complete denture patient. Her postgraduate prosthodontic residency was also completed at UCLA, School of Dentistry where she also obtained a certificate in Maxillofacial Prosthodontics. In private practice with always a hospital affiliation, she has practice for 6 years at the Sammons Cancer Center serving as the only Maxillofacial Prosthodontist at the Center taking care of head and neck cancer patients, organ transplant patients and special needs patients. 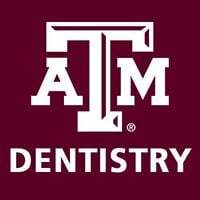 Location: Texas A&M University, College of Dentistry, Lecture room 605, Laboratory 603, and AEGD clinical facility on the 6th floor. Credit: 16 hours lecture: The teaching methods for this course will include lecture, video demonstration, laboratory one on one instruction, and review of live patient treatment which has been completed. There is no prerequisite for this course however experience with removable prosthesis will be helpful. This course may be attended by dentists, other dental specialists, dental assistants, dental hygienists, and laboratory technicians. This event is sponsored by Straumann Dental LLC. Sponsorship is provided for educational expenses related to this continuing education program. Straumann representatives are available in the lobby for any questions, however they are not involved in any presentations or teaching in the laboratory or clinical facility. QUESTIONS: Please feel free to call us at 214-828-8238. For a quicker response, please email your questions through the online registration website. CONFIRMATIONS: Will be sent by e-mail to the official email address provided by the attendee to the registration website. Exact email is necessary. REGISTRATION CANCELLATION: Tuition is refundable if a course is canceled by the Office of CE. A $50 fee will be assessed for any course cancellation. All payments by check or cash are deposited into the Texas A&M account and CANNOT be refunded. “No Shows” for a course forfeit all tuition. Confirm notification of cancellation by e-mail. The CE Office cannot be held responsible for a non-refundable airline ticket.